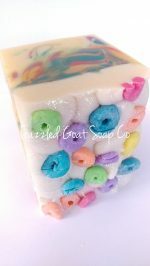 Short Product Description: Scented in fruit loops, this soap is hand made, cold process,. 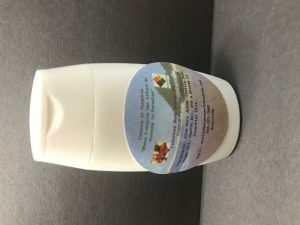 Using fresh goat milk, and shea. I make all my soap using CP, with fresh goat’s milk, and either shea butter, or cocoa butter. The fruit loops are hand made with cold process soap dough. Company or Makers Name: Frazzled Goat Soap Co.